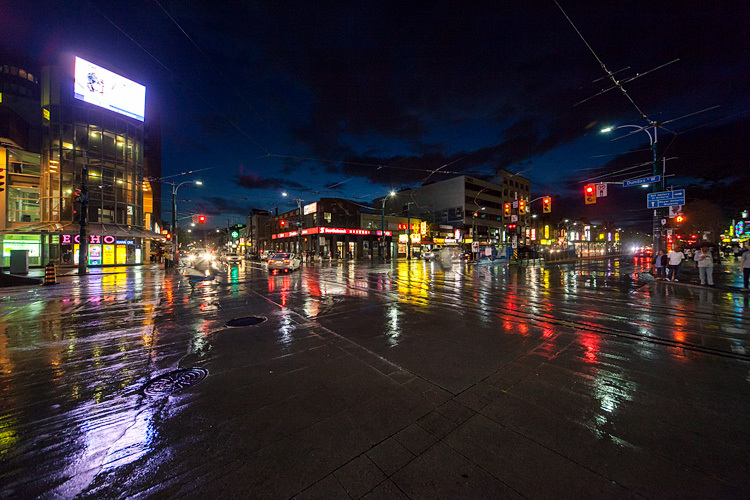 Rainy night in Chinatown on Spadina and Dundas. As much as I like the Micro Four Thirds system, this is one of the areas that a full frame camera like 5D Mark II is unbeatable. Shooting quickly at night, handheld on bicycle while waiting for the light, no way I could get this sharpness and clarity out of a smaller sensor system.